Toronto Chinese Orchestra is proud to present two full-length concerts in its 2018 | 2019 concert season, in addition to numerous community performances. Come and show your support to our young TYCO musicians and witness for yourselves how much they have improved over the year! TCO’s 26th annual concert once again forges new paths by exploring how different cultures and art forms combine in a stunning audio-visual experience. As one of those rare compositions that has bridged cultures, the Butterfly Lovers Concerto tells the tragedy of two lovers whose spirits are finally united in death as a pair of butterflies. 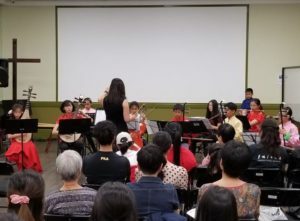 TCO’s new Composer-in-Residence is the award-winning Jon Lin Chua; she promises a new composition that combines both Asian heritage and Western influences. TCO’s own internationally-acclaimed guzheng soloist, Lina Cao, performs Night Mooring by Maple Bridge. Honorary Music Director Dr. Chih-Sheng Chen returns to lead TCO in telling the gripping story of Madam Su-Ro, the Korean folk tale of a woman who was kidnapped by a sea dragon. Madam Su-Ro combines Chinese orchestra with Korean drums and visual effects to heighten the drama of her kidnapping and subsequent rescue.